Whether you are a deft hand at hair and make-up or couldn't tell a pot of crème fraiche from Creme de la Mer, you'll want to look your best on your wedding day. Here Midland’s Make-up Artist Emma O’Regan gives some advice to guarantee you will be the belle of the bridal party. Every bride should feel like a princess on their wedding day – but there’s a fine line between the perfect make-up you see on celebrities in magazines and wearing so much the groom doesn’t recognise you! On the morning of your wedding you are probably going to feel a little stressed, so it might take the pressure off if you hire a professional who will visit you at your house or wedding venue. It’s important to arrange a trial before the big day and this is where you can take along photos and discuss ideas. Hairstyles can be created especially for you whether you want a red carpet look, tussled and natural or elegant and timeless. It's especially important that you wear high definition make-up with durability and a long-lasting finish on your big day, so that no touch-ups are required during the day. Don't panic – a professional should know exactly what you need as soon as they meet you. When I'm working on photo shoots or television commercials in London I get a quick brief and just have to work my magic! I always warn brides about changing their skincare regime too close to their wedding day, as there's always a risk of breaking out as your skin adapts to change. 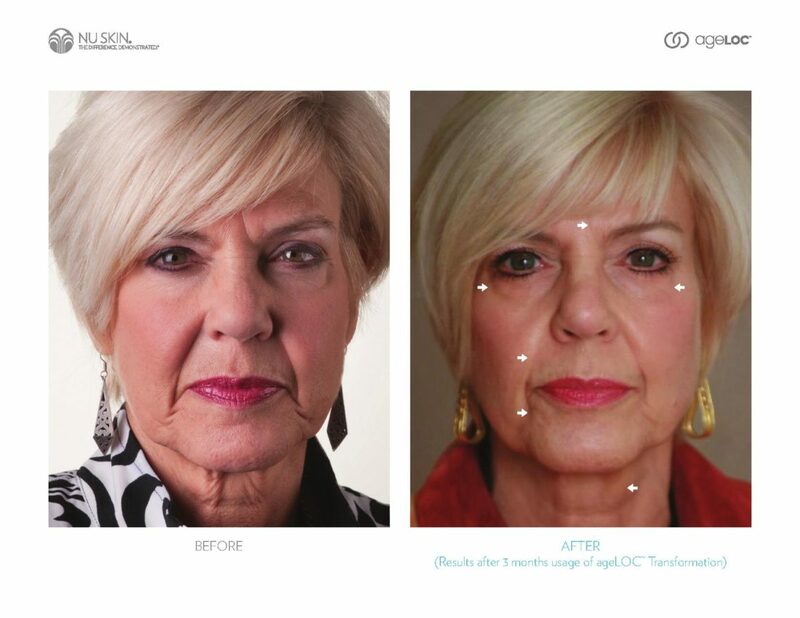 But one product I have started offering – because it creates amazing results – is an Age Loc Facial. The first treatment should be around the time of booking and securing your date, to ensure we get the correct tailor-made skincare advice especially for you. A good facial is the foundation to your make-up. The Age Loc Facial lifts, hydrates and makes your skin radiant and younger looking. Fine lines vanish and it’s perfect for plumping the skin on your face, neck and décolleté. It’s really popular with brides, mums and even the groom! You can also help your skin look the best it can by drinking lots of water during the months before your big day. It sounds basic, but it really will help to keep your skin clear and your eyes bright. Make sure your eyebrows are well-groomed as they frame your face. If they need shaping or even a tidy-up, try eyebrow threading as this lasts longer than plucking and you'll have instantly well-groomed brows. It hurts a bit, but no pain no gain, especially for your wedding! I also offer Noveau Lash semi-permanent extensions, which really open up a bride’s eyes. These aren’t the thick, heavy lashes you apply to your eyelid with globs of sticky glue. These are dainty and elegant, individual lashes which won’t leave you looking like Lady Gaga. They look amazing on camera and completely natural in the photographs, they really are the cream de la cream of eye lashes. They look like you've gone through your mascara with a pin. We apply them a couple of days before your wedding and they will last throughout your honeymoon – we just need to meet up again to remove them when you get back. And since they are virtually weightless you won’t know they are there! If you are considering doing your own make-up why not have a lesson? Make-up lessons are very in depth and give you inspiration, knowledge and guidance. I have given make up lessons to ladies between the ages of 13 - 60. Anyone can benefit but they are especially useful for overseas brides, who can also benefit from climate tips and techniques. All brides want to achieve fresh-faced flawless skin, bright big eyes and perfect cheeks and lips. The right skin care, high definition make-up and hair will accentuate favourite features and make a bride feel every bit as special as she is.